Oakville Yacht Squadron is hosting a FREE SEMINAR to show you everything you need to know about sailboat racing. 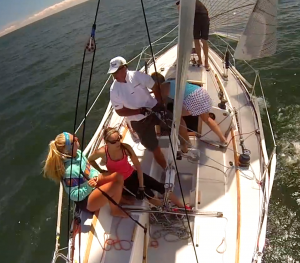 How to crew a sailboat. A great way to meet people, and learn a new sport. OYS has a vibrant racing program. Each Wednesday and Thursday more than 30 boats head out to the racecourse to enjoy spirited competition. Our skippers are always looking for an extra hand to help out. Want to sign up to crew on the regular…click here. I want to go sailing!